For the first time, the Miami University Libraries are pleased to offer complimentary electronic memberships to The Wall Street Journal for all current students, faculty and staff. With access to the world’s latest news, business insight, and expert commentary, every reader has the power to fuel their ambition with The Wall Street Journal. 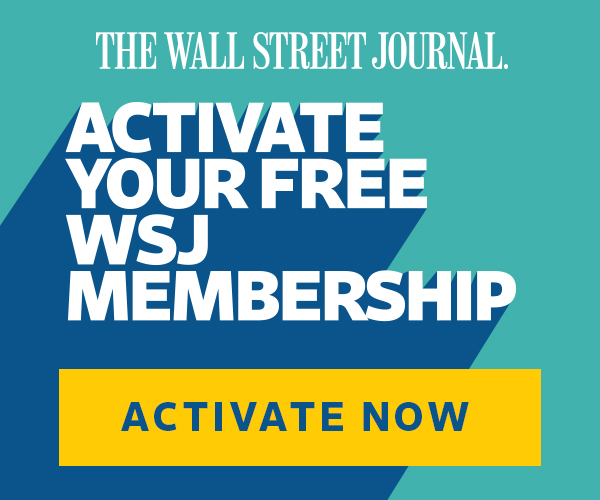 Each activated account comes with access to WSJ.com, the WSJ mobile app, curated newsletters, and WSJ+, an exclusive experience with access to special events, discounts, and travel destinations. Miami students, faculty and staff can activate their complimentary membership by visiting WSJ.com/MiamiOH, logging into the school portal and creating an account on the registration page. Those who currently pay for membership may call 1-800-JOURNAL, and mention they are switching to their membership provided by Miami University. Partial refunds will be dispersed. The University Libraries reach beyond physical walls by creating 24/7 online access to more than 500 online databases, journals and more. Students, faculty and staff can also create free online accounts for the New York Times. The world is truly at your fingertips.